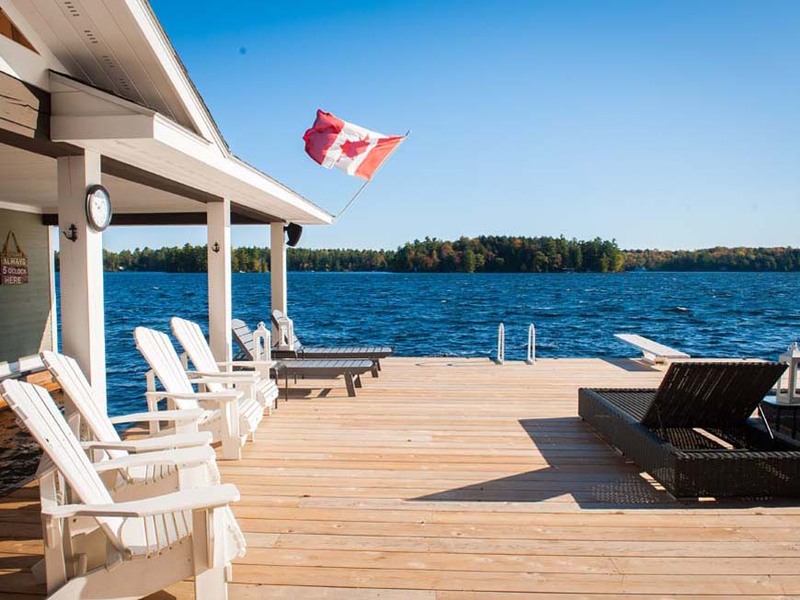 Welcome to your new cottage! 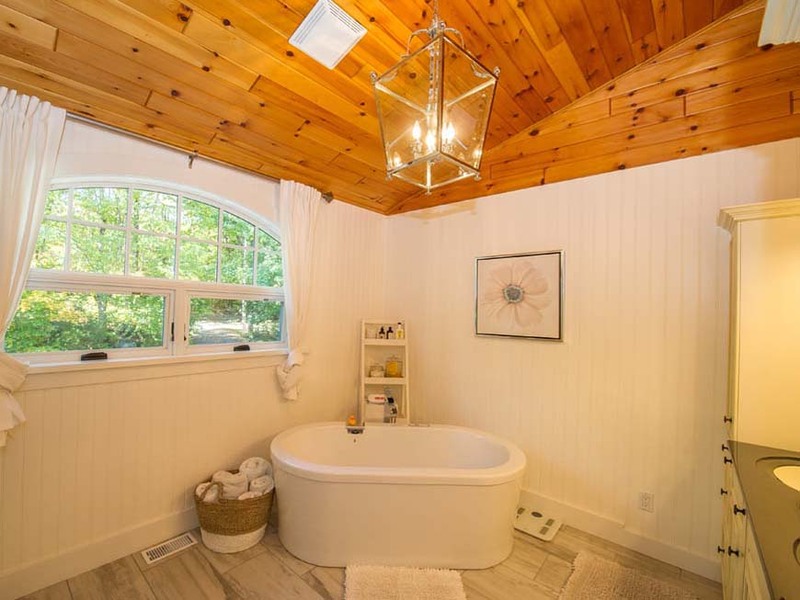 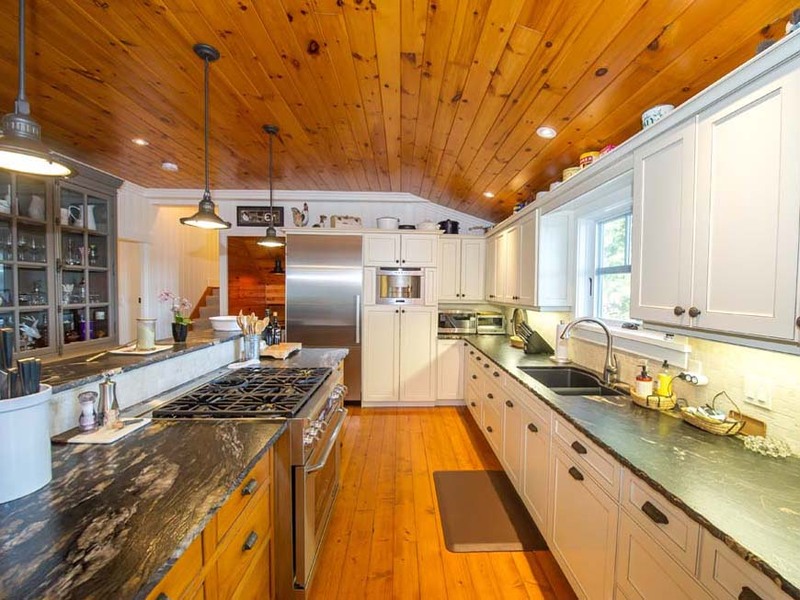 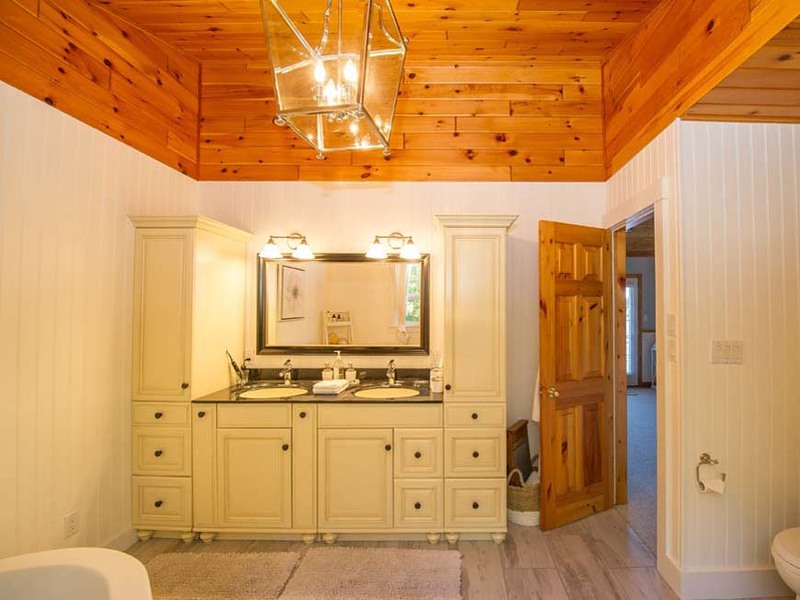 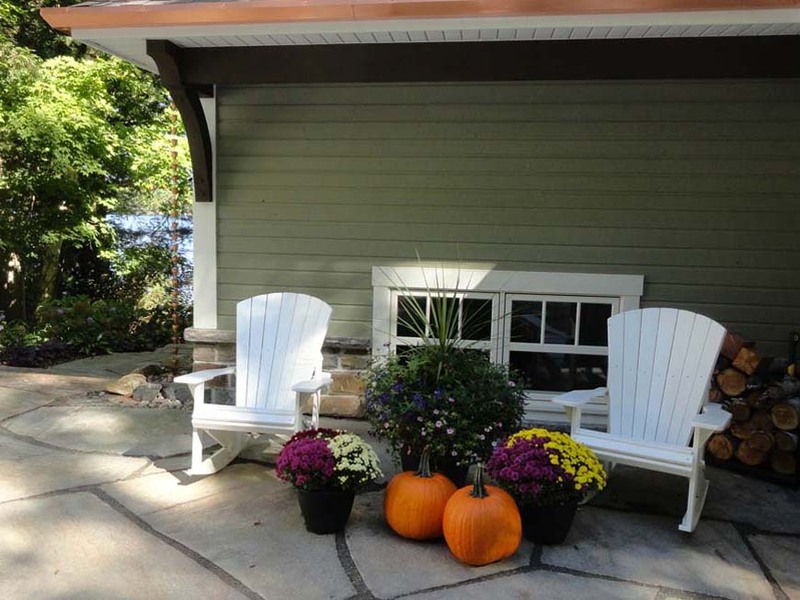 A beautifully renovated cottage sits on a gorgeous gentle lot just minutes from amenities. 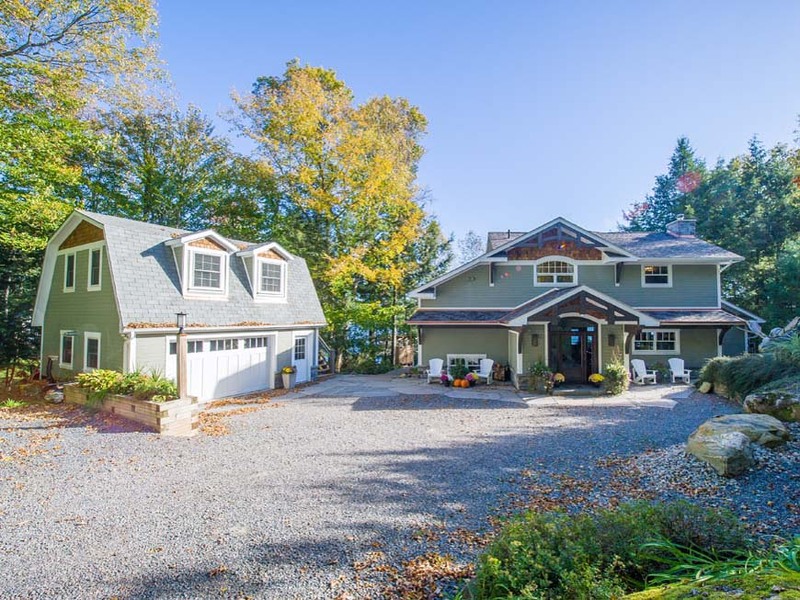 Truly a luxurious masterpiece, this 4 bedroom cottage has been recently upgraded with exquisite attention to detail. 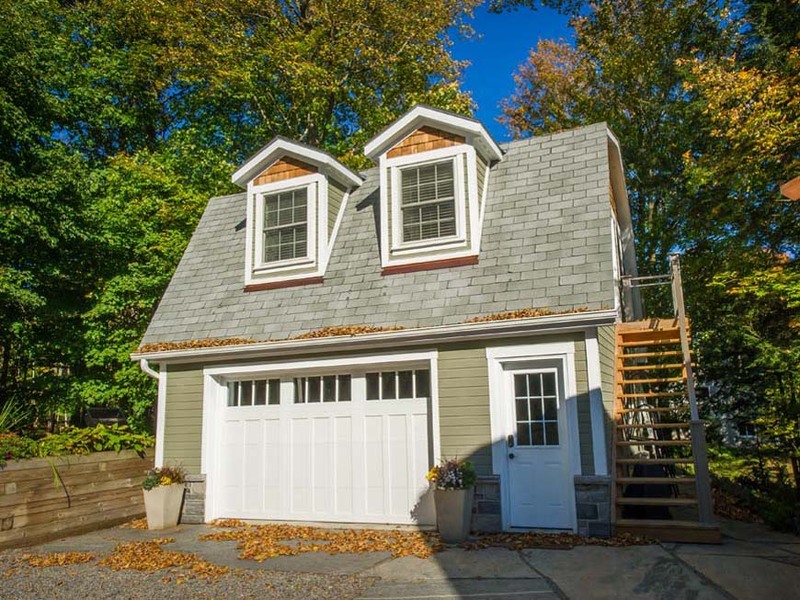 Not a single modern convenience has been overlooked; the property is equipped with all the contemporary comforts including air conditioning, an automatic generator, forced air furnace, hot water on demand, alarm system, in-floor radiant heat, and “Control4” smart home technology which allows control of heat, lights, speakers, TVs, door locks, & security from your smart phone. 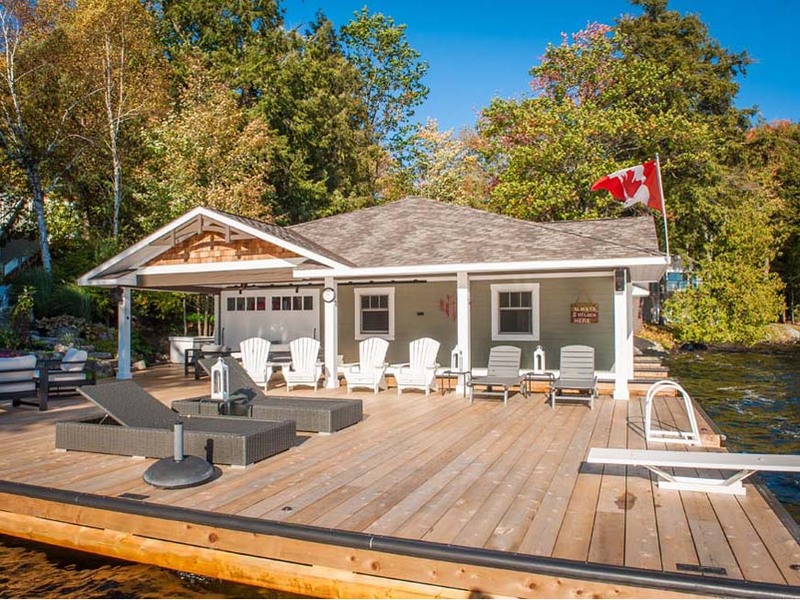 With over 3000 square feet of living space between the cottage and the bunkie above the garage, there is lots of room for the whole family. 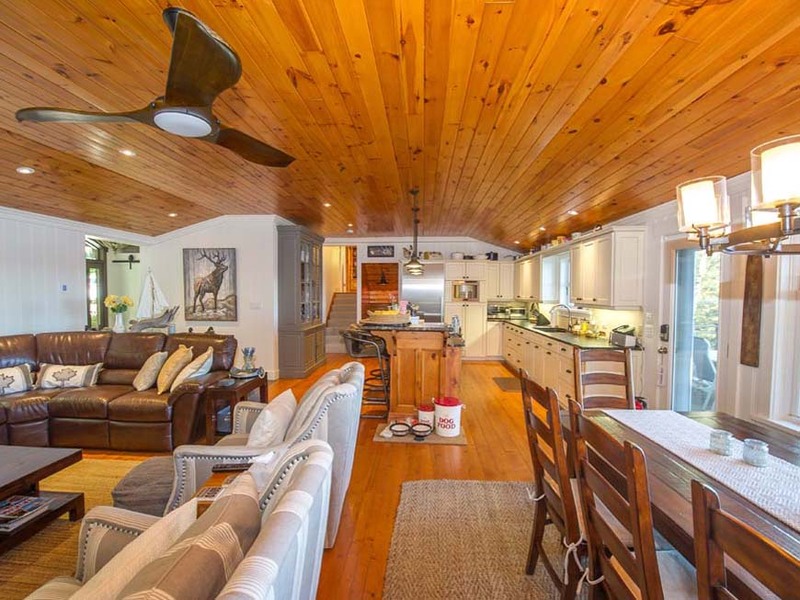 The cottage’s open concept main living area lends itself perfectly to entertaining, with a brand new kitchen at the heart of it all. 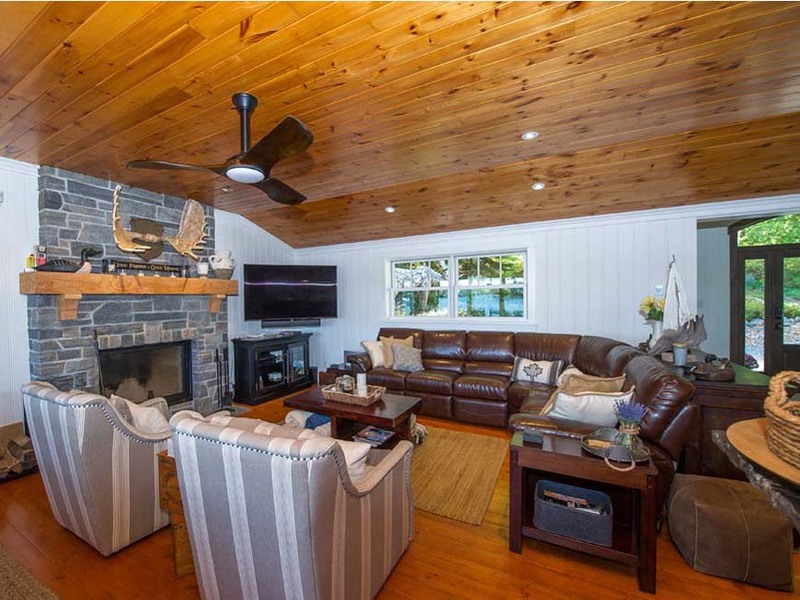 A stunning new wood burning fireplace in the living room sets an irresistibly inviting mood, and the dining room enjoys captivating lake views. 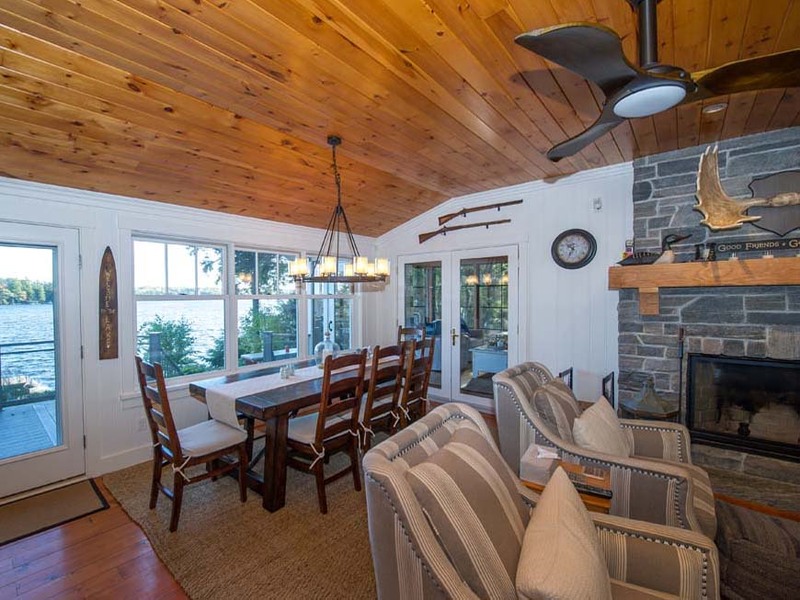 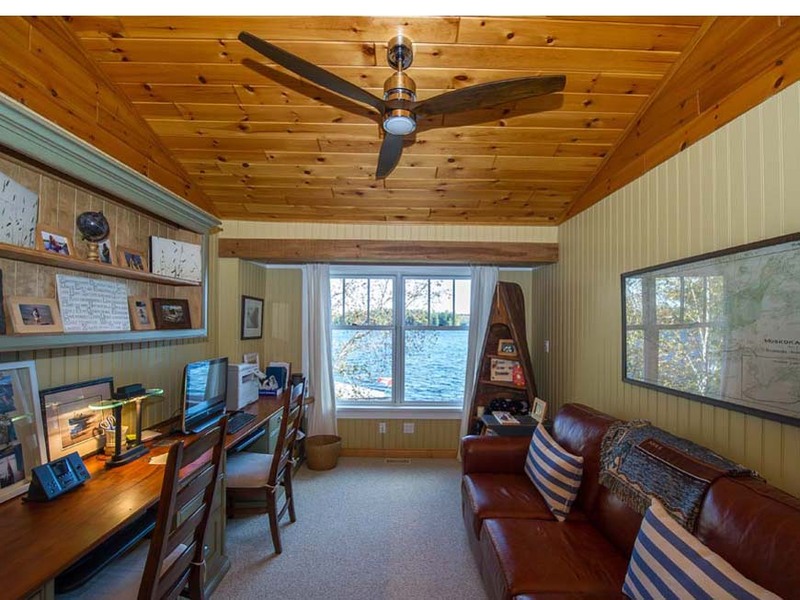 The incredible three season Muskoka room features Weatherwall windows. 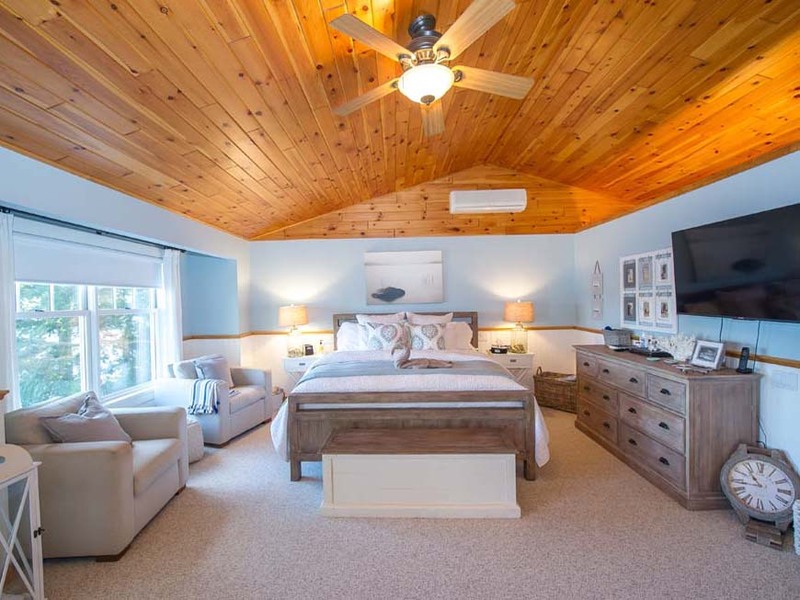 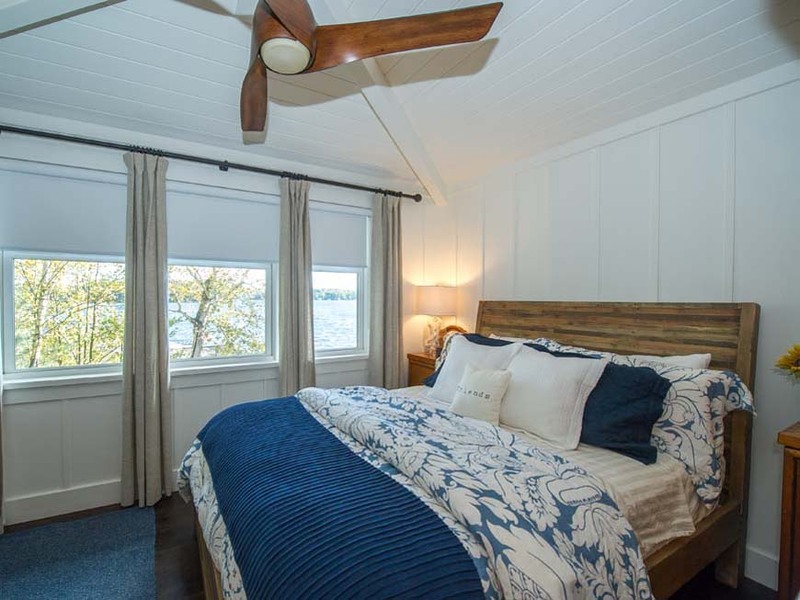 Set on its own private floor, the master suite has spectacular lake views, a walkout to a private balcony, a spa-like new ensuite with a soaker tub, a massive walk-in closet, and a separate office area with built in desks. 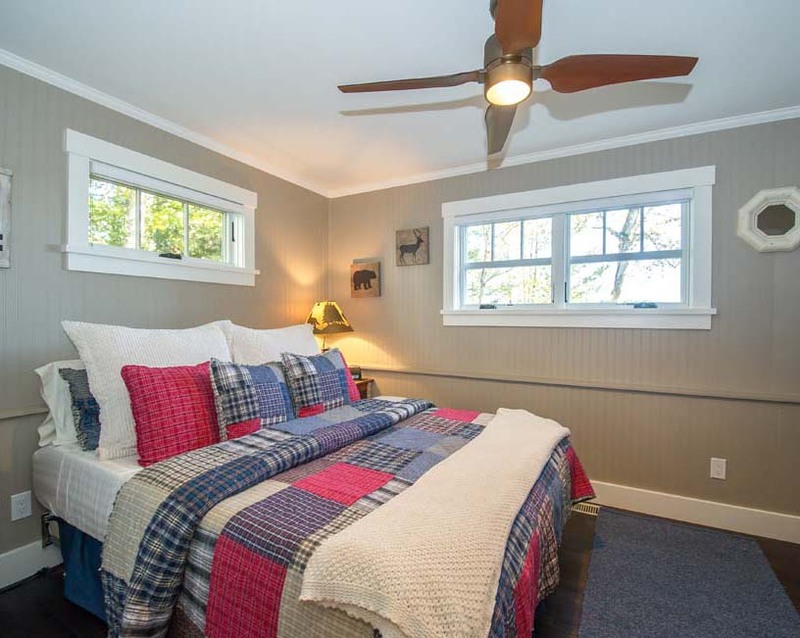 Three additional bedrooms share two other full bathrooms, which have also been recently redone. 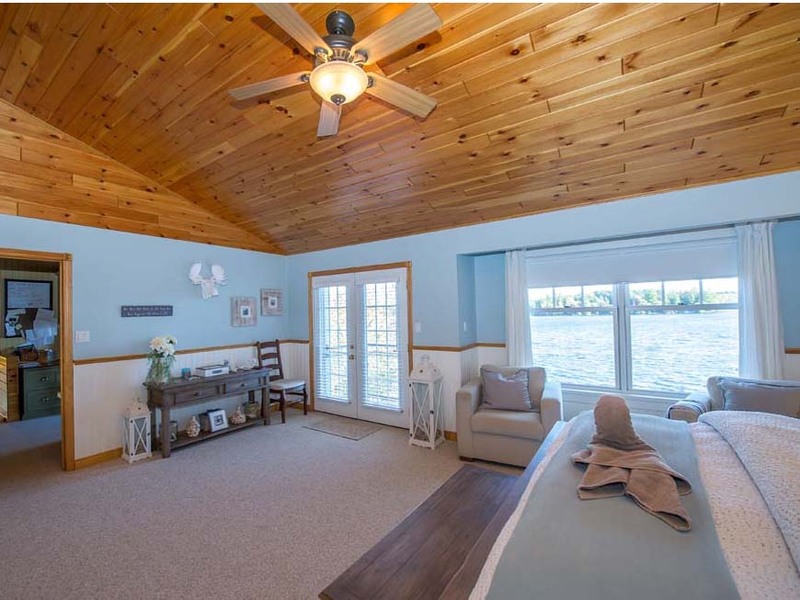 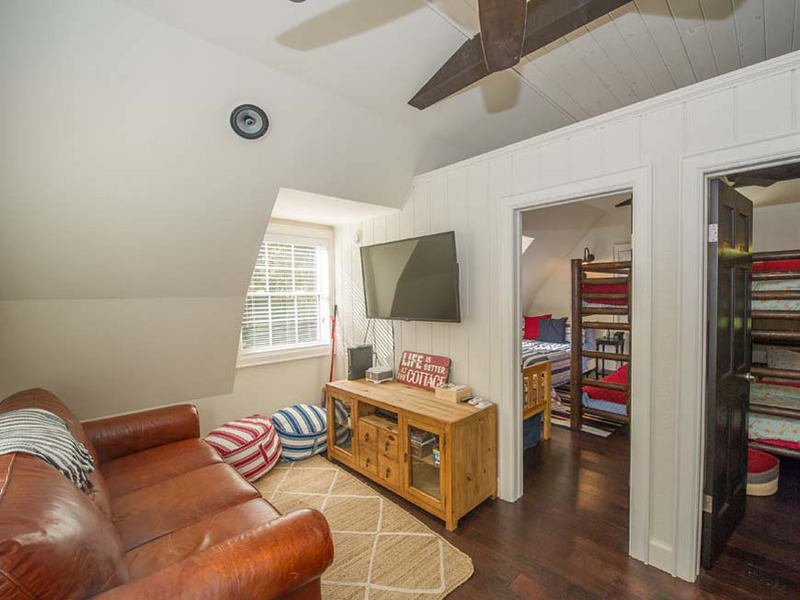 An insulated and heated garage offers great storage space and features a bunkie above, complete with two bedrooms and a living room – the kids and their friends will absolutely love this awesome private retreat! 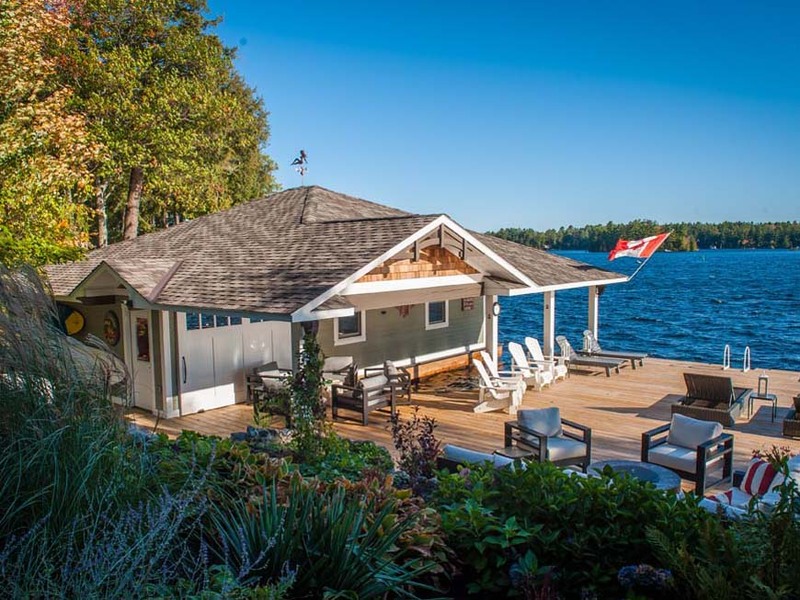 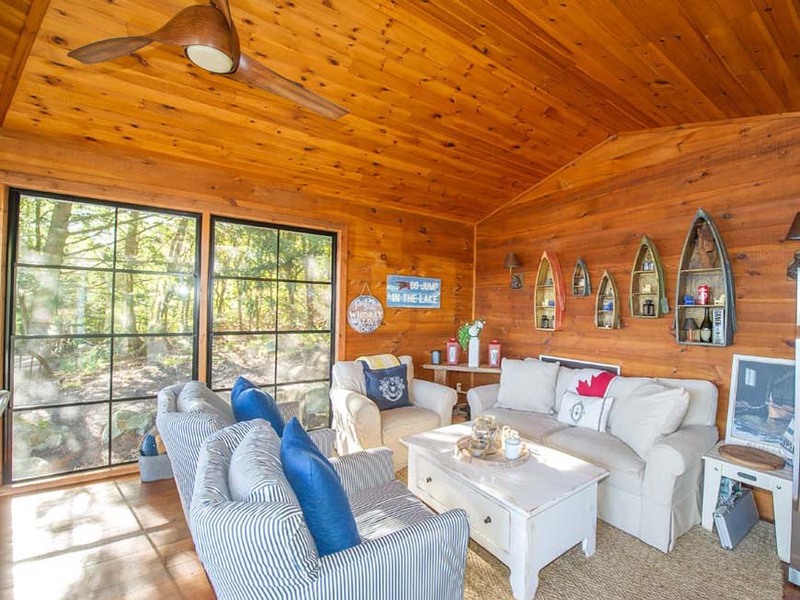 The boathouse is beautifully finished inside and out, with neat built in storage for furniture cushions, tinted glass doors, and a massive barn door leading out to the covered lakeside conversation area, which provides a shady shelter from the all-day sunshine enjoyed on the spacious dock. 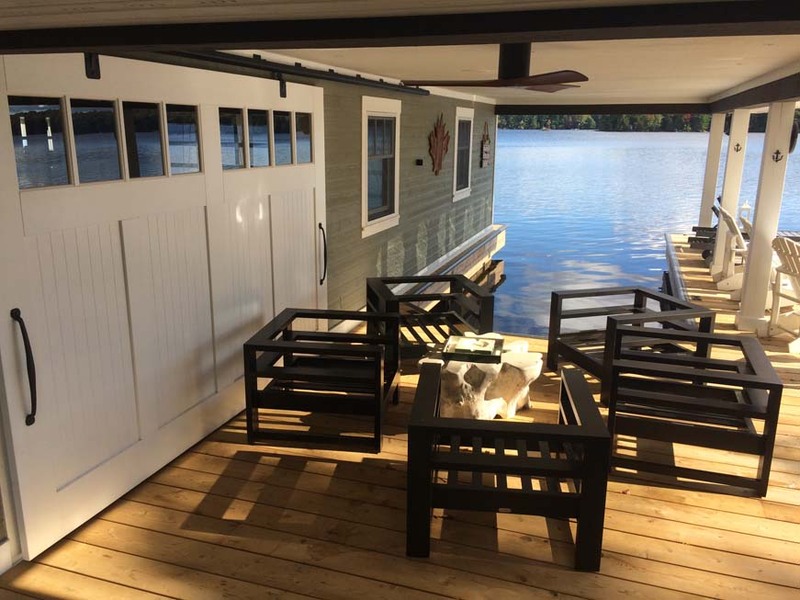 Two interior boat slips both have lifts and there is a third exterior covered slip. 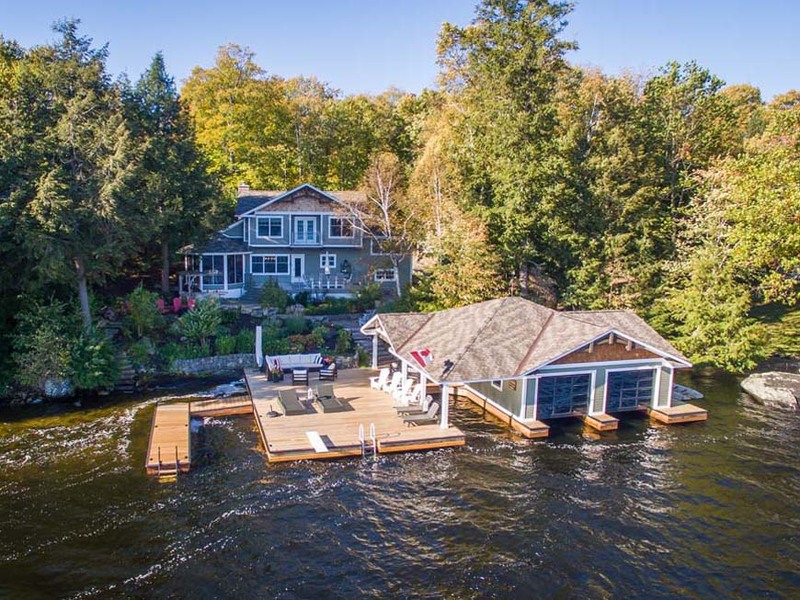 The shoreline structure is completed by a double jet ski lift and an additional floating swim dock. 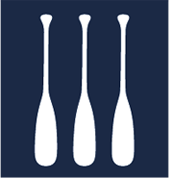 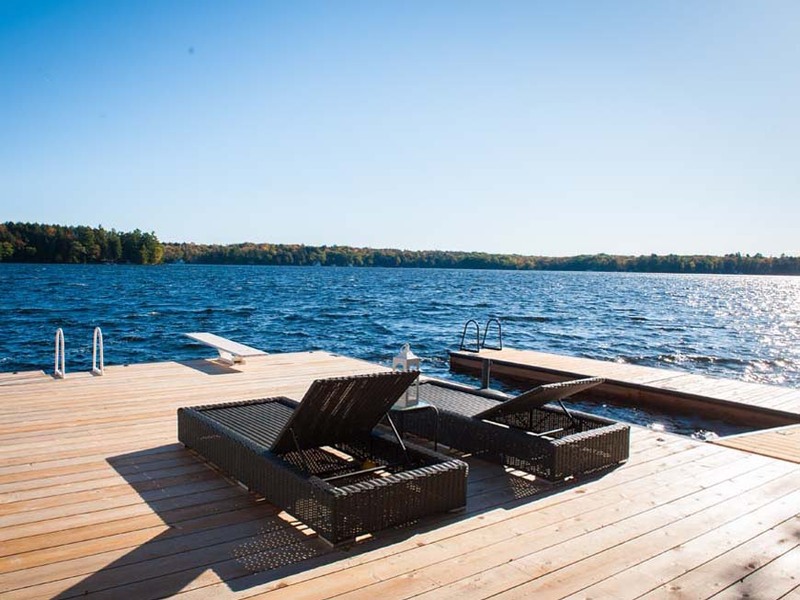 There is deep water off the dock for great swimming and water sports and steps in to shallow water along the shore. 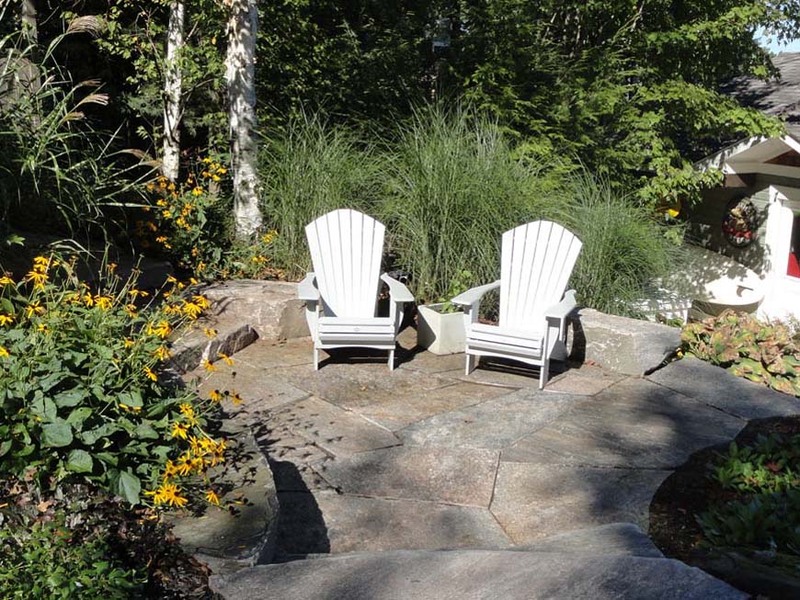 The wonderful boathouse is not the only place to enjoy the outdoors. 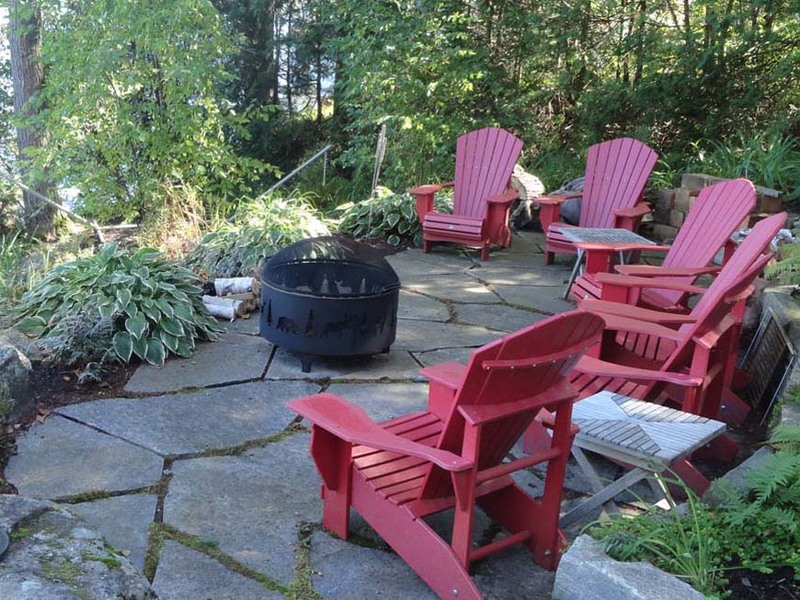 Flagstone steps lead around the gently sloping land to numerous lovely stone patios, the bon fire pit, an expansive cottage deck, and a fabulous outdoor kitchen. 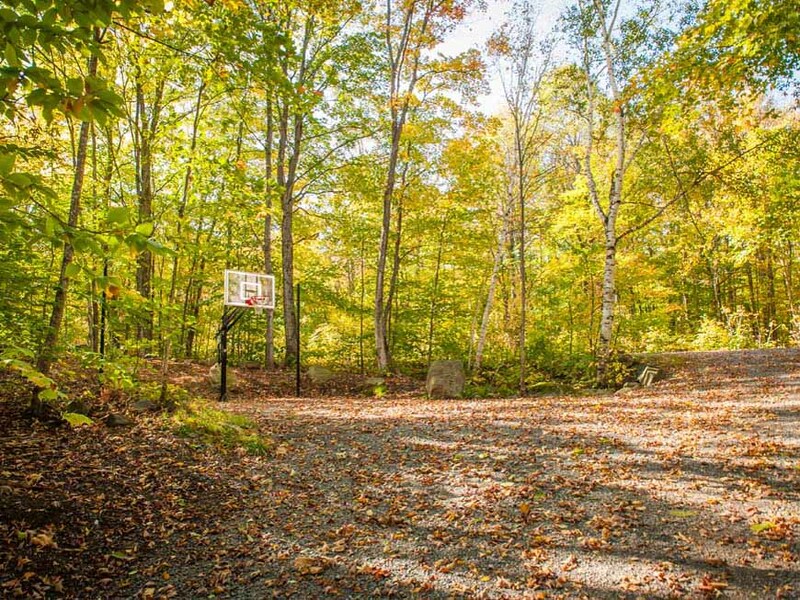 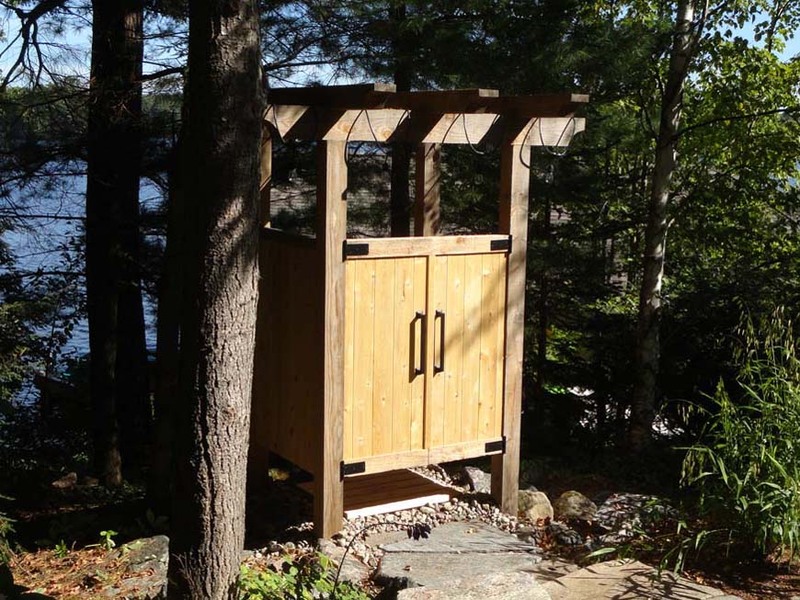 Fun will be had at the basketball court, and after a game the outdoor shower is a great spot to cool off. 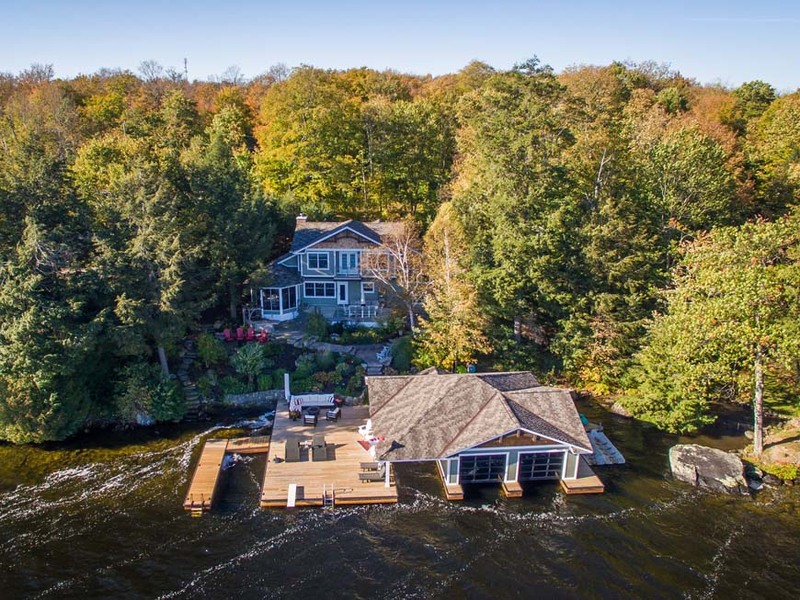 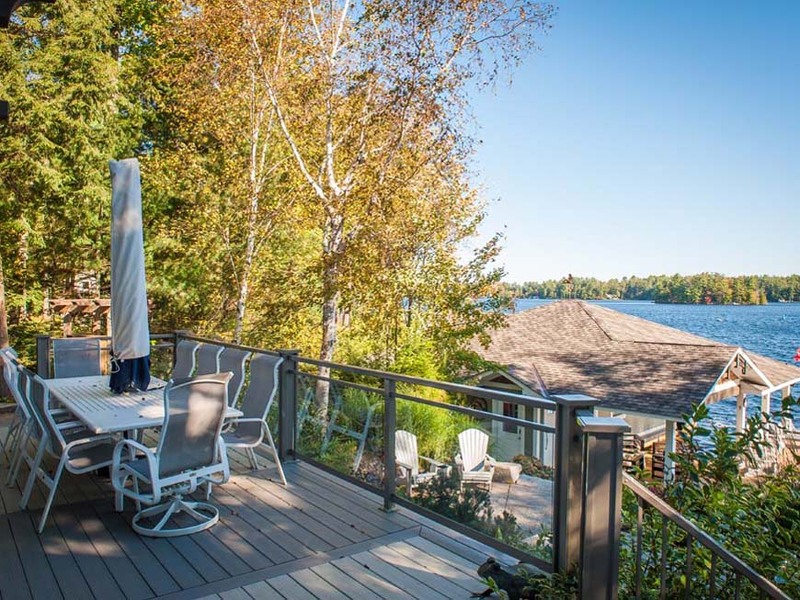 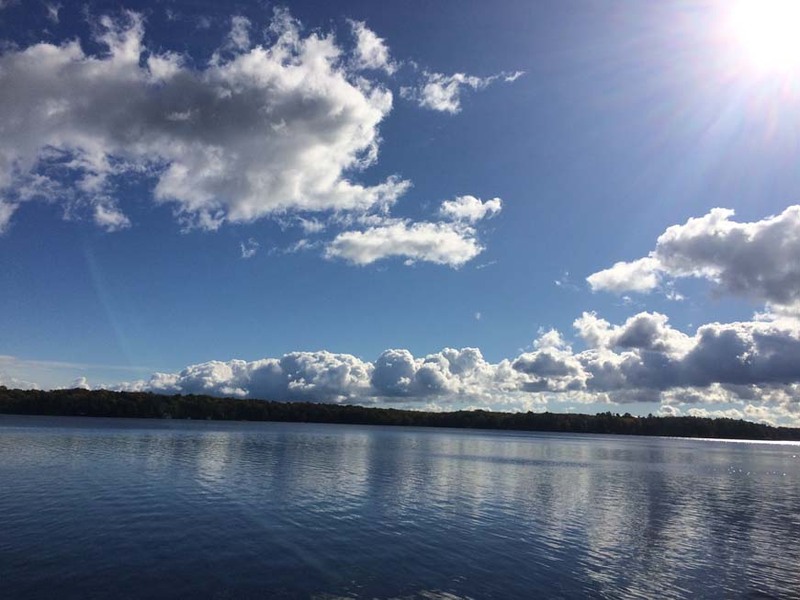 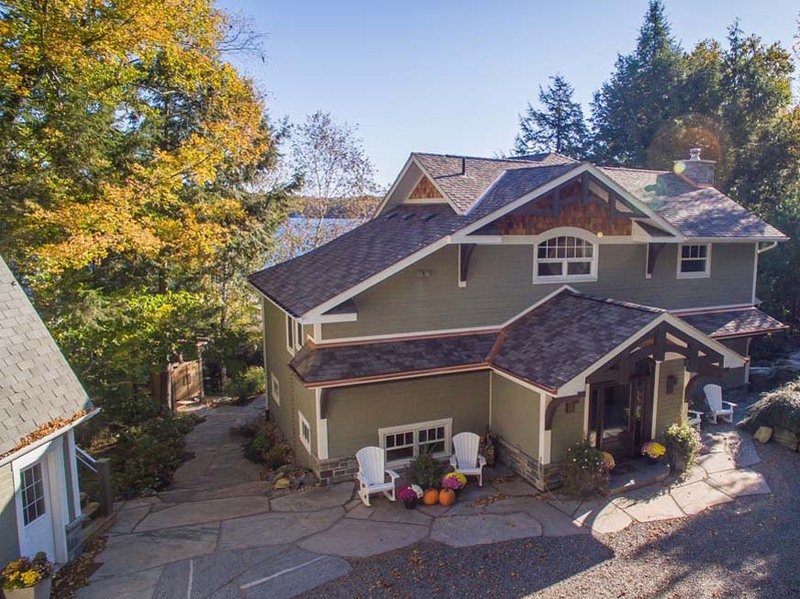 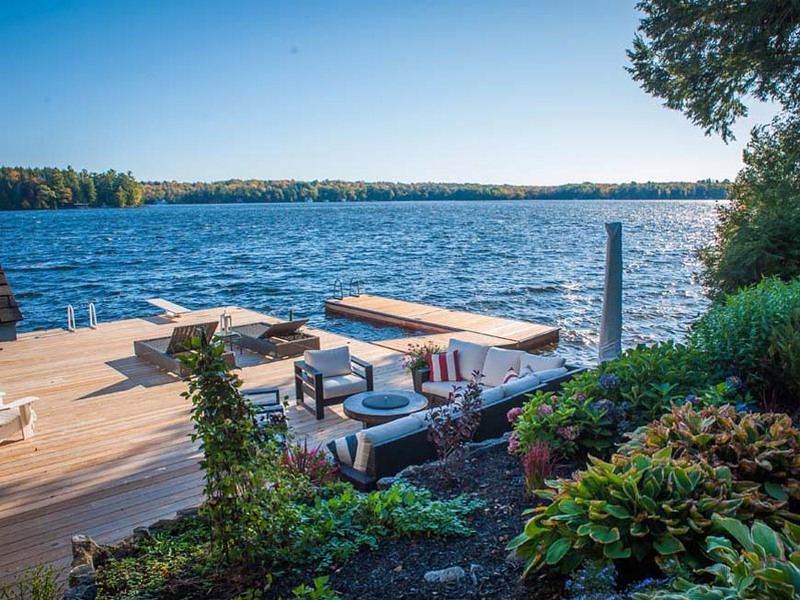 This wonderful family getaway is located minutes from Port Carling and Bala on a year round municipal round for all season access. 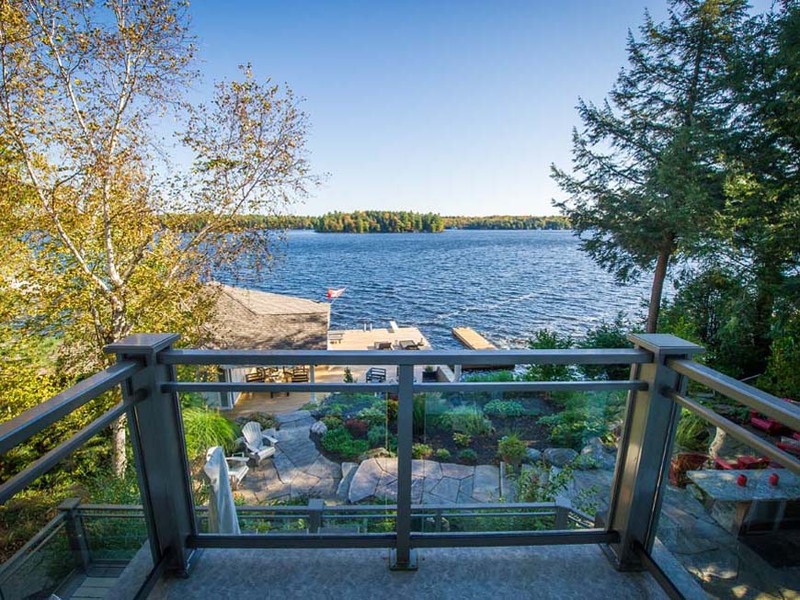 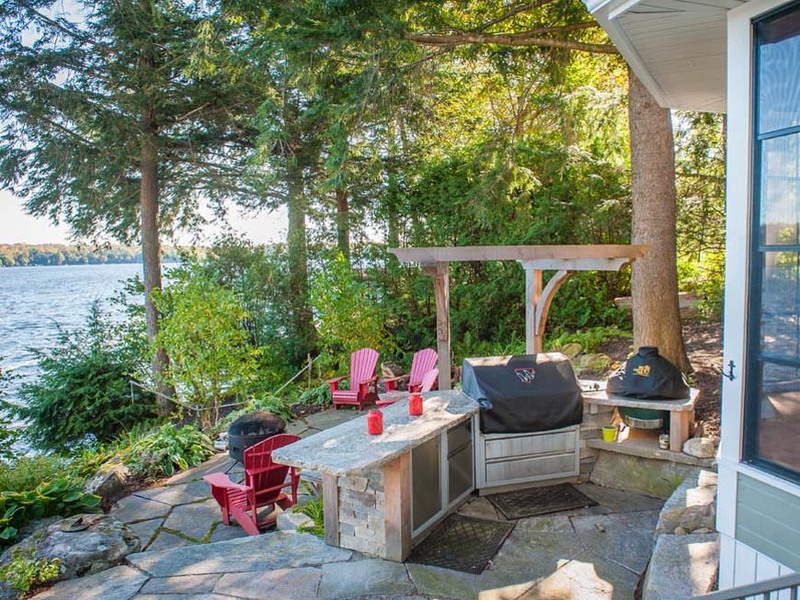 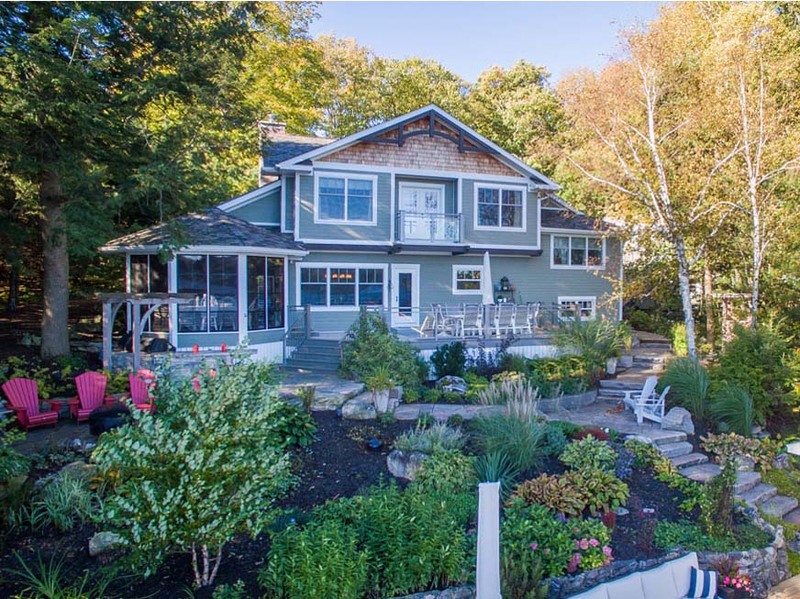 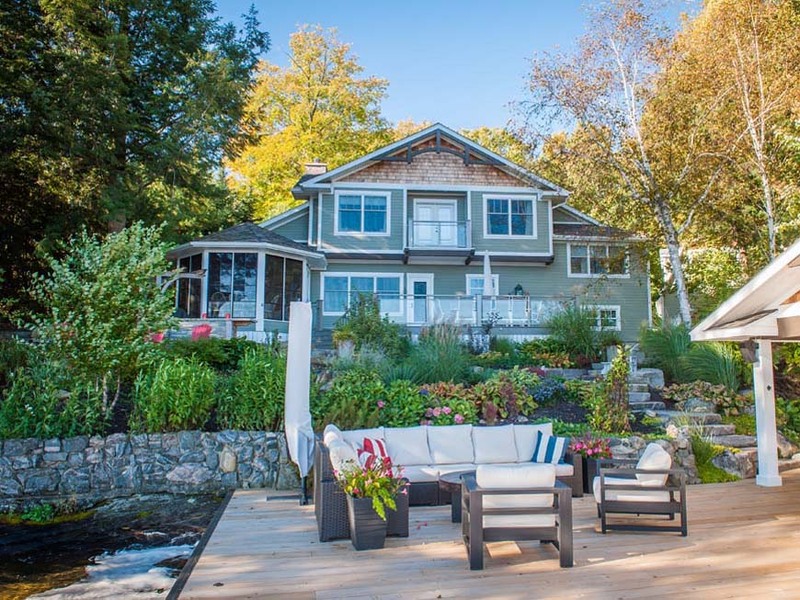 The views across the bay to Acton Island are wonderful, and the privacy is exceptional. 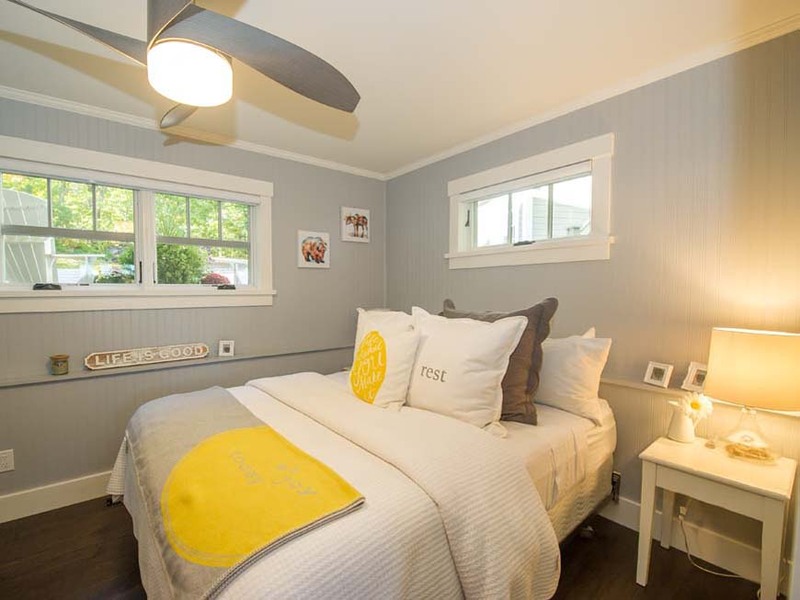 With all the renovations and upgrades complete, this contemporary package is move-in ready. 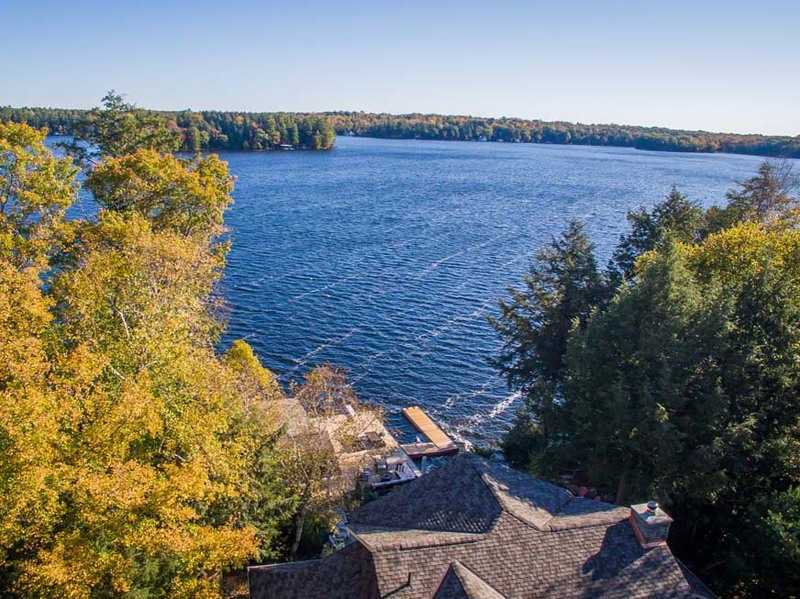 There’s nothing left to do but to start making Muskoka memories!